Can I File for Workers' Compensation in NJ if I Work From Home? Work-from-home positions are becoming increasingly common for major businesses. This work arrangement comes with many new and unexpected questions, such as whether or not a person who is injured while working from home may file a workers’ compensation claim. Below are some important cases that have been heard by New Jersey’s courts regarding the issue. In this case, the Supreme Court of New Jersey was debating whether an at-home employee is eligible for workers’ compensation benefits following an injury. The court pointed out an important distinction that must be clear when seeking such a claim. First, courts must figure out when the employment is determined. The employee is assumed to be acting in the course of employment when they are directly engaged in their work duties assigned by the employer. 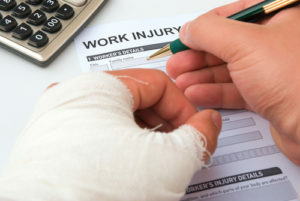 This means that an injury must have occurred when the at-home employee was in the process of conducting work-related duties. In Jumpp, the injured employee had been doing a personal errand while on the clock, but they were not directly performing work-duties. For this reason, they were not given workers’ compensation benefits. The Supreme Court of New Jersey ruled that had the employee been injured at home while performing his typical job duties, they would have been compensated. In the case of Renner v. AT&T, New Jersey’s courts also upheld that the injuries had to arise from responsibilities required by the employer. In this controversial case, a woman working for AT&T from home sat at her desk working all day and overnight. She was still working at her desk the next morning when she suffered a pulmonary embolism. She was ultimately killed by the embolism, and investigators determined that sitting at her desk for such an extended period of time contributed to her death. Despite this fact, the victim’s terms of employment did not require her to remain seated for such a long, uninterrupted time. She was never instructed to remain at her workstation until the work was completed. Although the victim was engaging directly in her work-related duties, she also maintained the right to take breaks and walk around. The court ruled that this victim was not entitled to workers’ compensation benefits because sitting for such an extended period of time was not a job-related duty. A workplace injury can be devastating, particularly if it prevents you from returning to work for an extended period of time. Although New Jersey Workers’ Compensation laws are supposed to provide you with reimbursement for medical expenses and replacement pay for missed time at work, it is not always easy to get the Workers’ Comp benefits you deserve. That is why you should speak with a knowledgeable Workers’ Compensation lawyer about your situation and get guidance throughout the claims process. The experienced Workers’ Compensation attorneys at Rudnick, Addonizio, Pappa & Casazza PC represent clients in Piscataway, Middletown, New Brunswick, East Brunswick, and all across New Jersey. Call (732) 264-4400 or email us today to schedule a free consultation about your work injury case. Our main office is located at Park Village, 25 Village Court Highway, #35 Hazlet, NJ 07730, and we also have offices in East Brunswick.